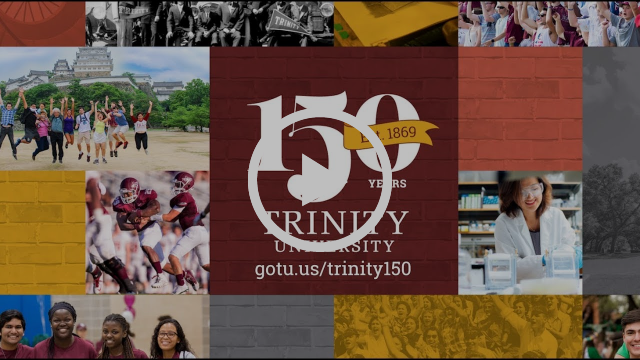 This year, campus will be transformed with signage designed to take you through Trinity's 150-year history. And, we will share special events and memories chronicling our University's rich culture and enterprising faculty, staff, and alumni, that are now synonymous as one of the nation's premier universities. I invite you to watch the video to see the many ways we plan to commemorate this historic milestone. On Feb. 1, we will officially kick off our 150th anniversary celebration with an afternoon of service, which I invite you to sign up for, and an evening of celebration, which I invite you to attend. I also encourage you to engage throughout the year by sharing memories and staying up-to-date with events at gotu.us/trinity150. I wish you a Happy New Year and look forward to seeing you throughout our year-long celebration.